Where can I find a good Plastic Surgery Expert Witness in Miami? If you you have ever tried to find a good plastic surgery expert witness, then you probably already know that they are not that easy to find. Of course, there are hundreds of plastic surgeons, but when it comes to plastic surgeons who are experienced and capable at giving expert witness testimony, well, that’s a whole other story. This article aims to provide you with a few useful resources about where you can find good plastic surgery expert witnesses, as well as a couple tips about how to make the right choice. In addition to directories, you may also want to ask trusted attorneys who they have used in the past and who they recommend. As with any type of expert witness, some are more reliable than others. A good expert witness is usually one who had experience being an expert witness, has relevant and respected qualifications relating to his/her area of specialty, and who gives testimony in an objective and well-communicated manner. Plastic surgery expert witness Florida – about Thomas Zaydon, M.D. Plastic Surgery Institute founder, Dr. Thomas J. Zaydon, M.D. F.A.C.S, has been rendering professional expert witness and plastic surgery services in the Miami, Florida area for over twenty years. Dr. Zaydon is certified by the American Board of Plastic Surgery and is a member of the American Society of Plastic Surgeons. He is also a fellow of the American College of Surgeons. Dr. Zaydon earned his medical degree from Drexel University in Philadelphia, Pennsylvania. Graduating with special honors, he also served as Chief Resident in plastic surgery at the Louisiana State University. He is a noted author of numerous articles and chapters on various aspects of plastic surgery. Currently, Dr. Zaydon is chief of plastic surgery at Mercy Hospital in Miami, Florida. 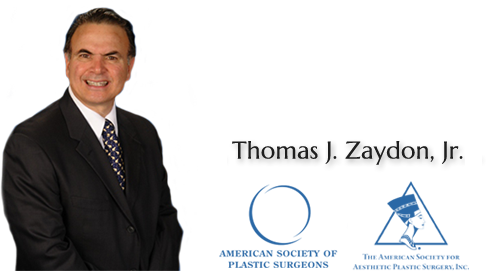 Read more about Dr. Zaydon or Read more about his Plastic Surgery Expert Witness services. This entry was posted in plastic surgery expert witness on January 16, 2017 by kpeacy.